Rock Blues with groove and soul to dance the night away. 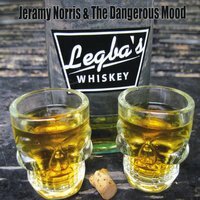 Jeramy Norris brings his deep love of Texas Blues, groove, and songwriting to forge the basis of The Dangerous Mood's signature sound. Jeramy is an absolute force to be reckoned with on guitar. His vocals are deep and warm with complete reverence to the gut bucket spirit of the Blues. His seasoned playing is mature, raw, and haunting. His voice delivers vintage soul and authentic tone. To quote Jeramy, " The Dangerous Mood is the most fun I've ever had playing in a band. I'm so thankful to have this band with Chip Yeager (bass) and George Schuler (drums). It's more than a band, it's a brotherhood. To me, that's lightning in a bottle."